The inside of the ear is a source of mystery for many pet owners. Keeping them clean and maintaining ear health is an even more perplexing subject. 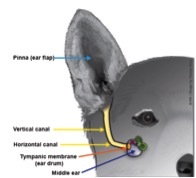 Before outlining ways to keep dogs’ ears clean, it is important to gain an anatomical understanding of the ear. The ear canal is essentially ‘L’-shaped. As the figure shows, there are vertical and horizontal aspects to the ear canal. Cleaning can be a simple process. The only tools necessary are cotton balls and a general ear cleaner (your veterinarian can make a recommendation) that also works as a drying solution. A dual ear cleaner/drying solution is important because one of the causes of ear infections is moisture trapped in the ear canal. It is not recommended to use Q-tips or cotton swabs because, if used incorrectly, they can pack debris farther into the canal, causing infection or damage to the eardrum. If your dog is resistant to having its ears handled, exposing it to the actual cleaning process may be required. Lift up the pinna (ear flap) and gently insert the tip of the ear cleaner bottle into the entrance of the ear canal. Administer a liberal amount of the cleaner. Massage the part of the ear directly below the pinna. You have the correct amount of cleaner in the ear when you hear it squishing as you massage. Once you finish, the dog will be compelled to shake its head (have a towel handy!). This will help remove excess cleaner and debris from the ear. Then take the cotton ball and wipe along the pinna and the visible part of the ear canal, removing additional debris. It’s important to implement a cleaning regimen weekly or once every other week (or even as needed) depending on the dog’s lifestyle. 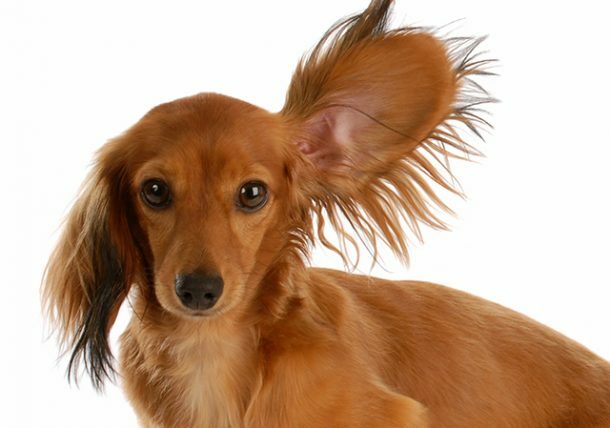 Not all dogs need this frequency, as a healthy, normal ear canal should be a self-cleaning organ. Dogs with long earflaps (i.e., Cocker Spaniels, Basset Hounds, etc.) are prone to infections. Since the opening of the ear canal is covered, any moisture and debris trapped in the canal create the ideal environment for developing an infection. This isn’t to say that dogs whose ears are erect won’t have an infection, just that “floppy” ears facilitate this environment. For dogs that swim or are bathed frequently, it’s important to use the cleansing and drying solution because it helps remove residual moisture in the canal. Clinical signs of an infection include an overly sensitive/painful to touch ear, redness, excessive debris and/or foul smell. If there is any suspicion of an ear infection, do not perform an ear cleaning. 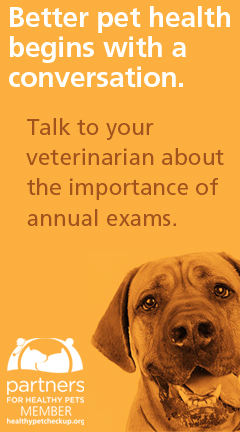 Instead, consult a veterinarian immediately. If you have a dog that is prone to ear infections (either because of allergies or anatomy), please consult your veterinarian for a specific cleaning regimen. 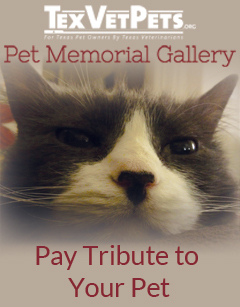 This article pertains specifically to dogs because routine flushing of a cat’s ears is not recommended unless under direct veterinary guidance. Carol Hurst, LVT, is a graduate of McLennan Community College who lives in Houston, Texas. She works at ABC Animal & Bird Clinic.